The PlayOJO team are soooo excited about the brand-new Our Planet series that’s just come to Netflix. The new 8-part documentary follows in the footsteps of the mega popular Blue Planet, Planet Earth and Frozen Planet that sure did make their mark. But this time, with the latest Our Planet, we’re all going to learn about how we can help save our planet too. Because let’s face it, it’s another level of unfair of how badly the planet is getting treated these days and how wildlife is suffering because of it. There’s a lot we can all learn and do and luckily, Emmy and BAFTA winner, Sir David Attenborough, along with the world’s most spectacular wildlife are going to show us the way! It took 3,500 days to film Our Planet – that’s 4 years of footage! And a lot of waiting around for those magic moments that capture a 60-ton whale doing a backflip or rather the very timely and entertaining mating antics of those mannequin birds. The mind-boggling array of footage is taken from 50 countries around the world by a massive 600-person crew. And with all the latest 4K camera technology, there’ll be millions of people around the world glued to their screens with some never-seen-before natural wonders. As beautiful as it all is, there are more serious realities that need our attention and OJO for one is relieved that this awesome landmark series is putting a fairness stamp on a desperately unfair situation. The sad fact is that some of the world’s rarest wildlife are facing huge threats, which means that the world as we know it is under threat. Anyone who’s not living under a rock knows how bad it’s got, but most of us don’t really understand the extent of it. Our Planet stunningly shows us the painful consequences of the world’s mistakes and honestly, the timing couldn’t be better. The polar regions are probably the most affected parts of the planet when it comes to global warming, but it doesn’t really hit home until you see footage of 75-million-tonnes of ice breaking away in just 25 minutes. Over-fishing and deforestation are other areas that David and the crew explore. On the bright side, this ground-breaking new series shows us that there IS hope and that it’s not too late for us to turn things around – we can make fair of this messed up situation and save the planet, starting with watching Our Planet. Let’s do it! 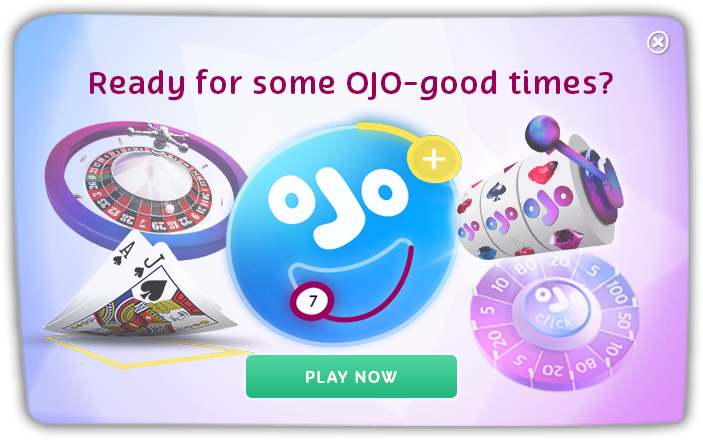 BIG NEWS: SLINGO ARRIVES AT OJO!